Five budding film critics from Stratford-upon-Avon College have taken top prizes in a film-reviewing competition. 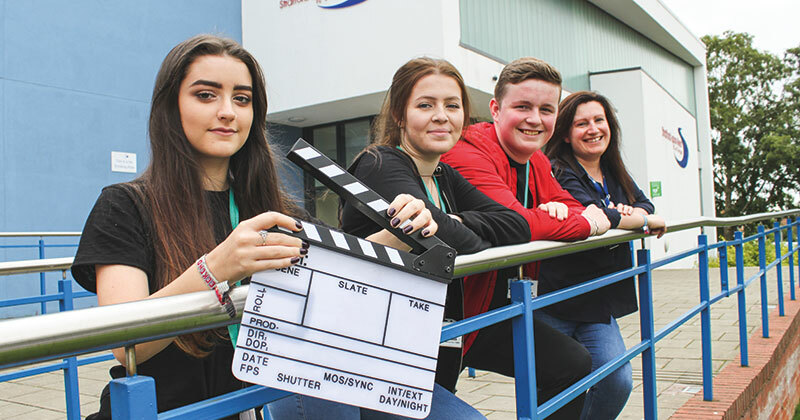 The group of students, who all study the college’s A-level film course, submitted reviews to the review of the week competition run by Into Film, an educational organisation funded by the British Film Institute. Their submissions were selected as the winners from hundreds of entries, and they will now each receive a badge, a certificate and a DVD randomly selected from the organisation’s film library as their prizes, as well as having their reviews featured on the Into Film website. Among the submissions was a review of Richard Ayoade’s film Submarine, by 17-year-old Katie Jellicoe, and a review of the adaptation of Stephen King’s IT, written by 16-year-old Harry Gibbons. “It’s difficult to believe that when they wrote their reviews they had only been studying film for a week,” said Sarah Downing, the A-level film lecturer.